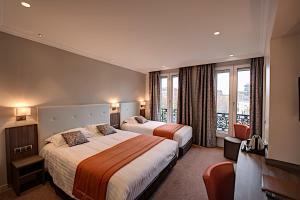 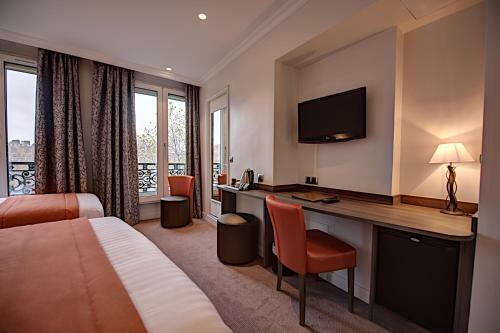 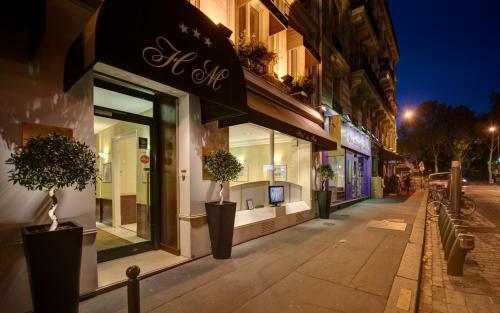 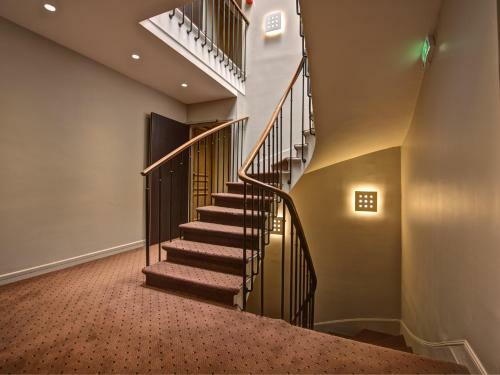 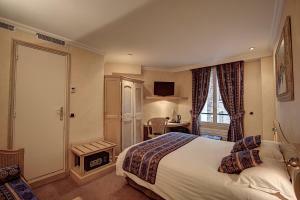 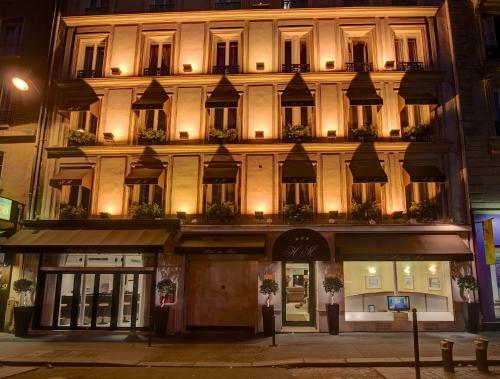 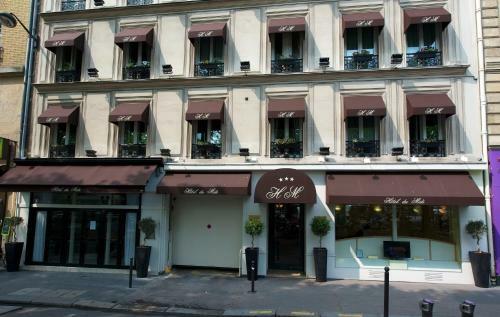 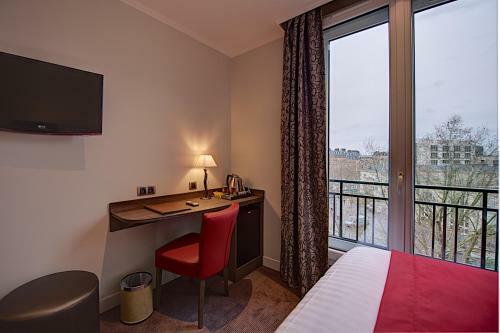 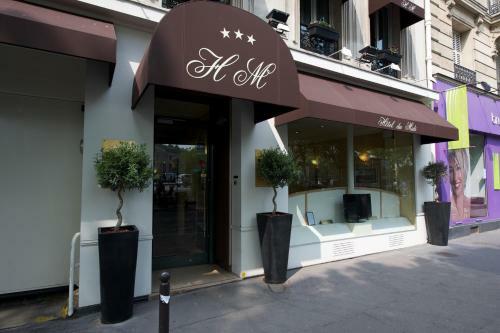 Hôtel Du Midi Paris Montparnasse is located near place Denfert-Rochereau in the Montparnasse district, 1.4 km from Montparnasse Tower. 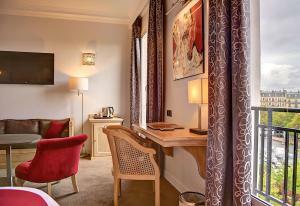 It offers free Wi-Fi throughout the hotel. 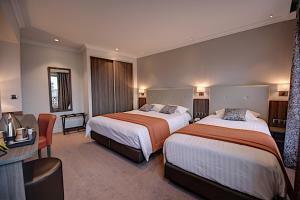 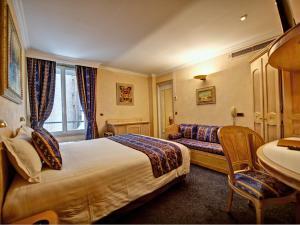 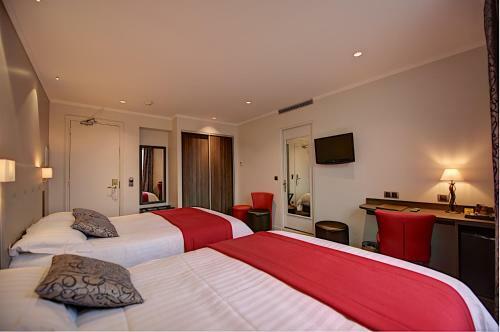 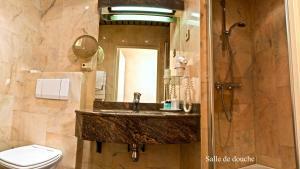 Each air-conditioned room includes a flat-screen TV with satellite channels and a mini-fridge. 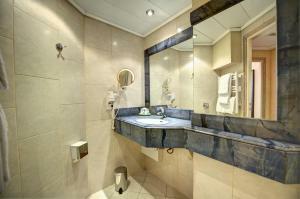 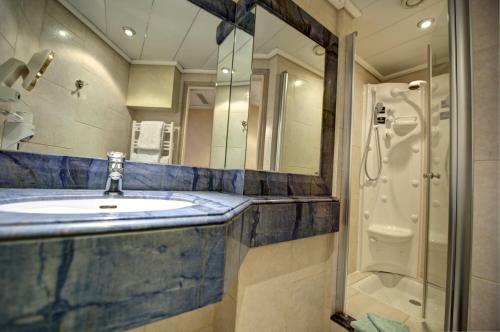 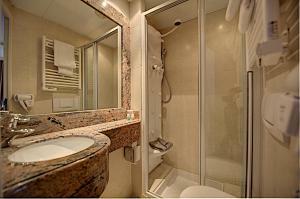 All rooms have a private bathroom and some have a hydro-jet showers and spa bath. 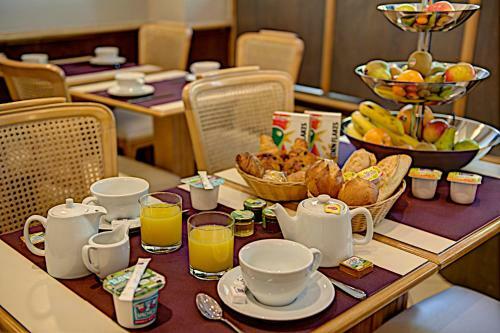 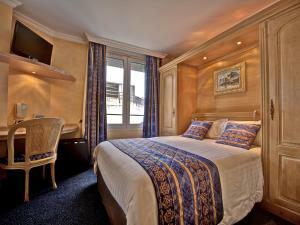 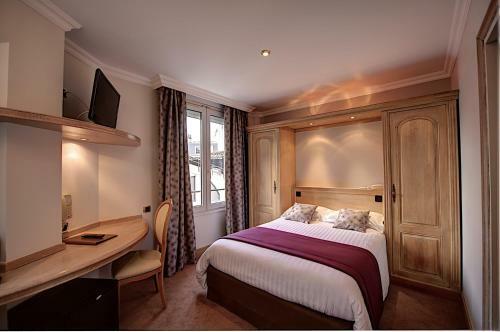 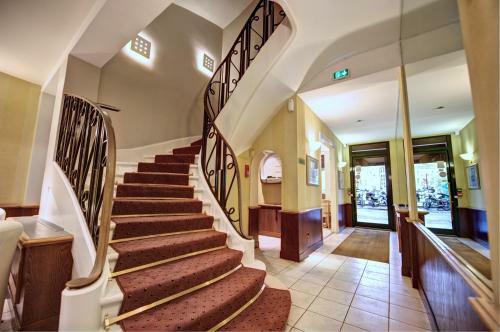 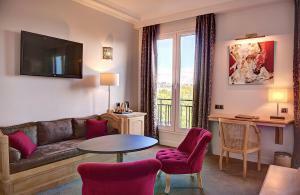 The Hotel du Midi serves a daily continental breakfast in the dining room. 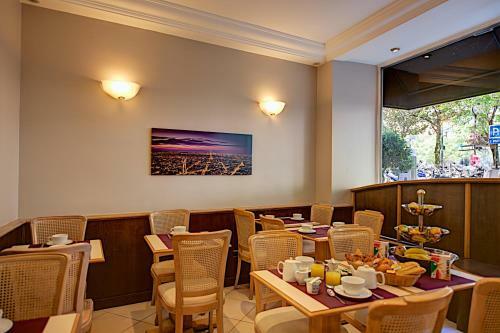 Alternatively breakfast can be served in guests’ rooms. 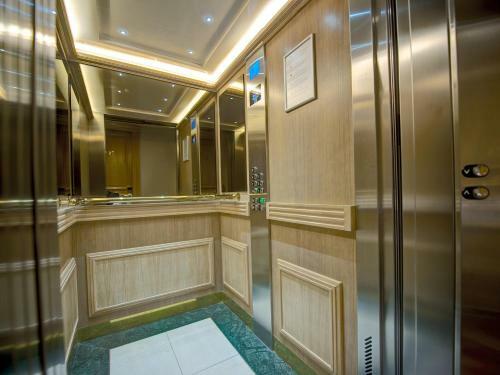 Private parking is available upon request. 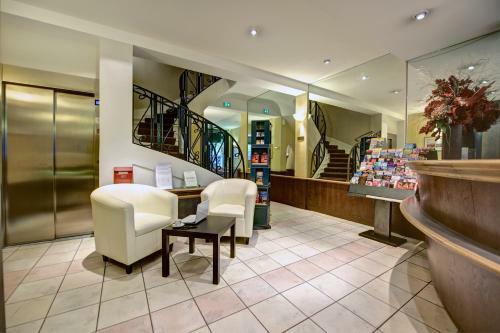 Denfert-Rochereau RER B Train Station, a 2-minute walk away, provides a train link to Charles de Gaulle and Orly Airports. 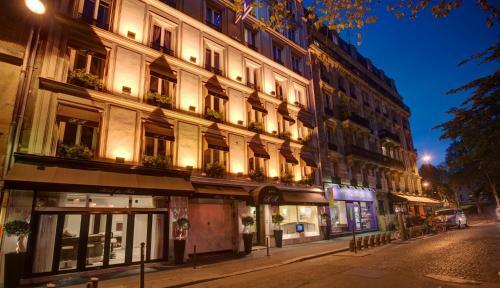 The entrance to the Paris Catacombs is 120 metres away. 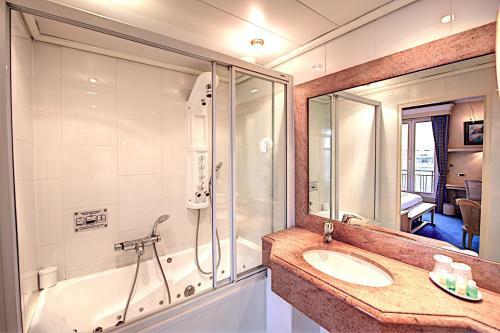 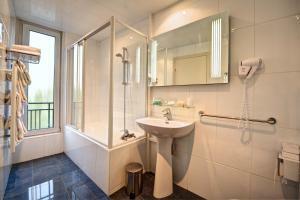 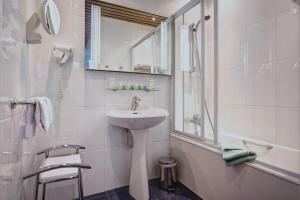 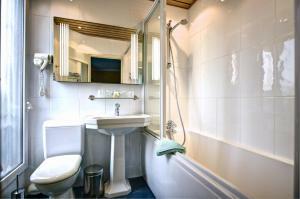 This air-conditioned room offers an en suite bathroom with a shower. Rate: € 91.00 ... € 158.00; select dates below to get current rates. 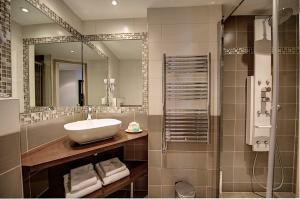 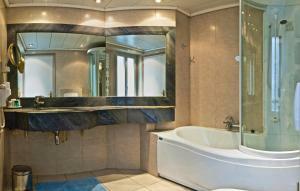 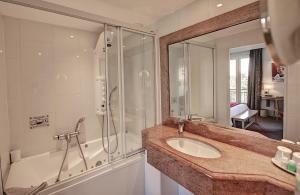 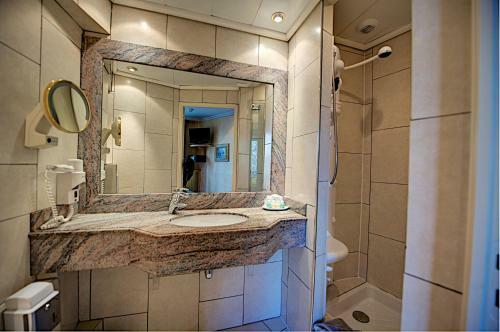 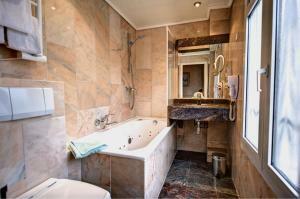 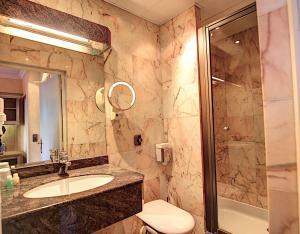 This room has a bathroom with a spa bath (spa function available from 07:00 to 22:00) or hydro-jet shower. Rate: € 137.00 ... € 237.00; select dates below to get current rates. 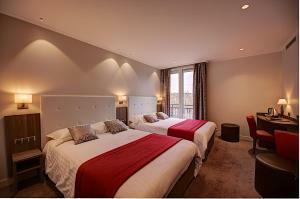 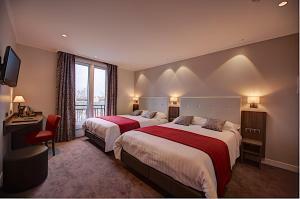 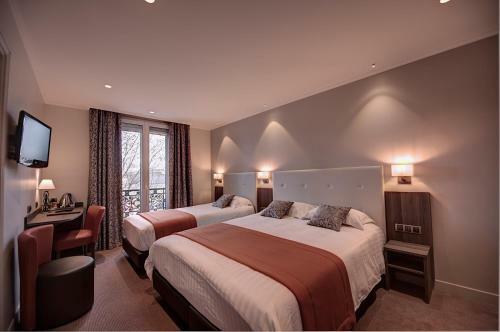 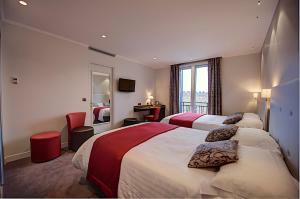 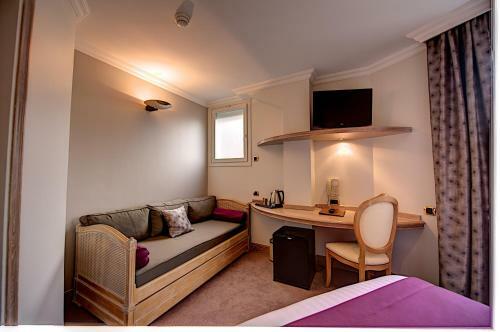 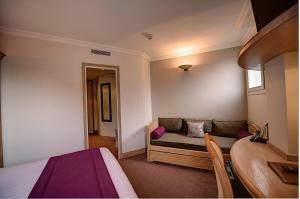 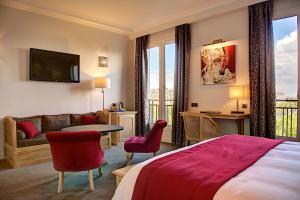 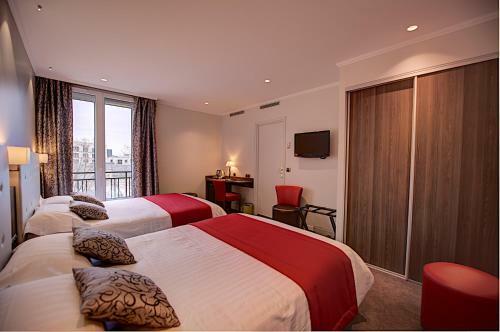 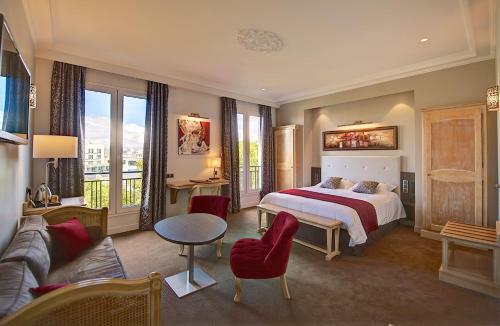 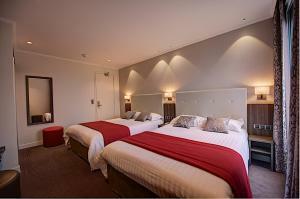 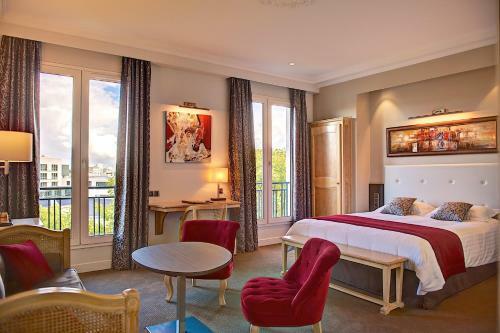 This air-conditioned room offers quadruple glazing, street views and a flat-screen TV with satellite channels. 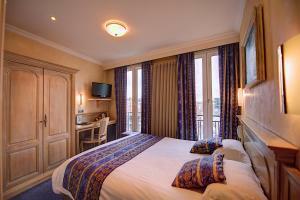 Rate: € 118.00 ... € 213.00; select dates below to get current rates. 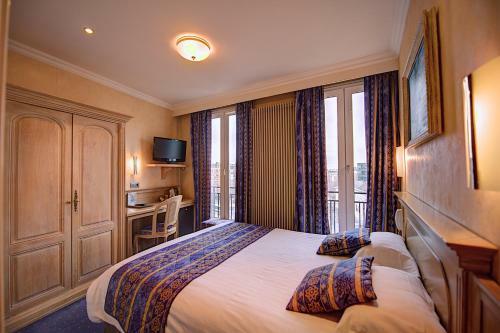 Rate: € 131.00 ... € 237.00; select dates below to get current rates. 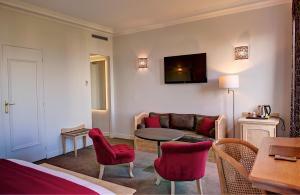 This air-conditioned room is equipped with a flat-screen TV with satellite channels. Rate: € 70.00 ... € 126.00; select dates below to get current rates. This room has a marble bathroom with a spa bath. Please note that the spa bath is available from 07:00 to 22:00. Rate: € 109.00 ... € 198.00; select dates below to get current rates. 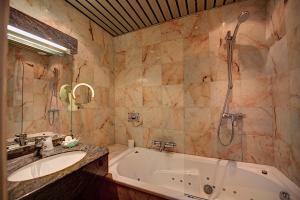 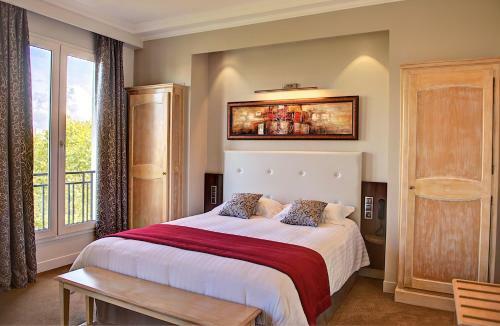 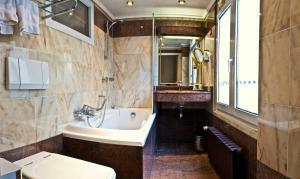 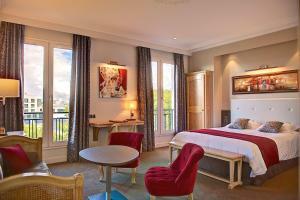 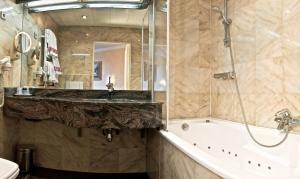 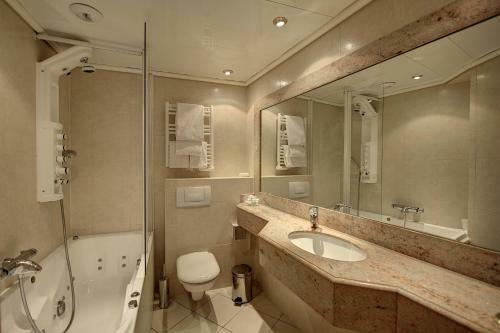 This spacious suite has a living room area and a bathroom with spa bath and hydro-jet shower. 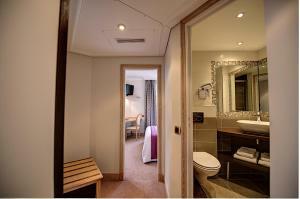 Please note that the spa bath is available from 07:00 to 22:00.